I love entertaining, and I love when I find new monogram styles for cocktail napkins. 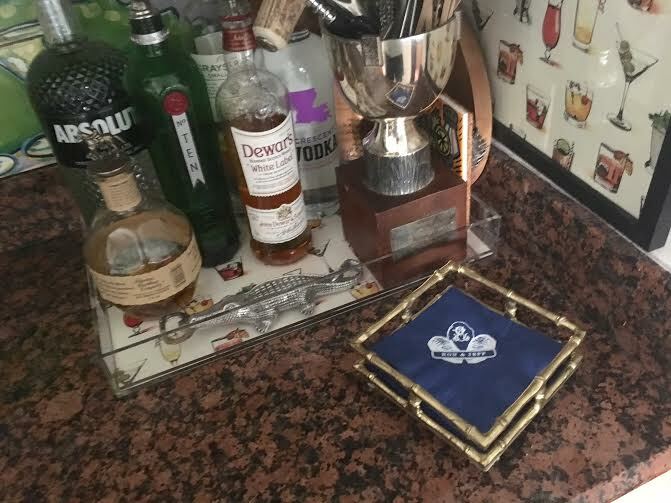 Emily McCarthy hit it out of the park with this custom oyster monogram. I emailed her office a copy of my custom monogram by Number Four Eleven, and the monogram was added to the oyster motif. 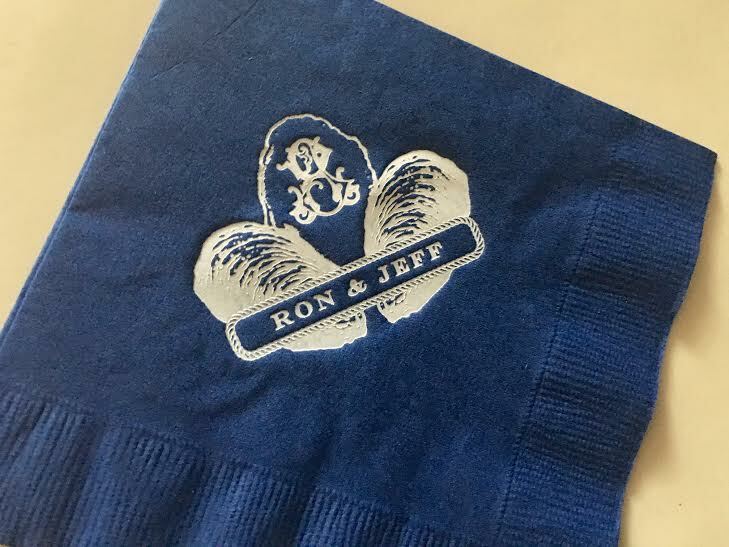 The names "Ron & Jeff" further personalized the napkins. 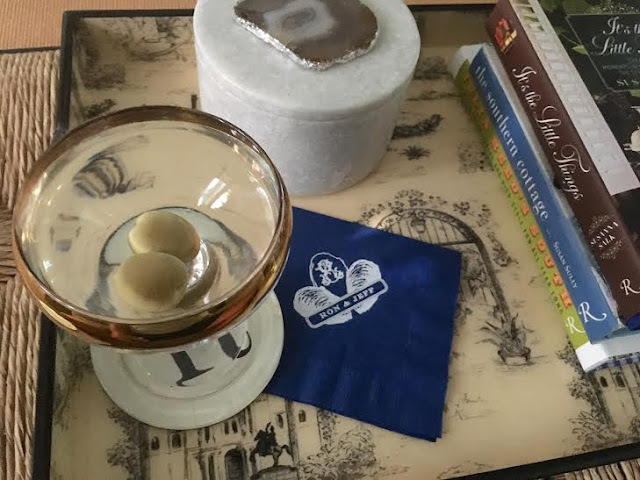 I chose a simple combination of navy and white for a nautical yet summery look. 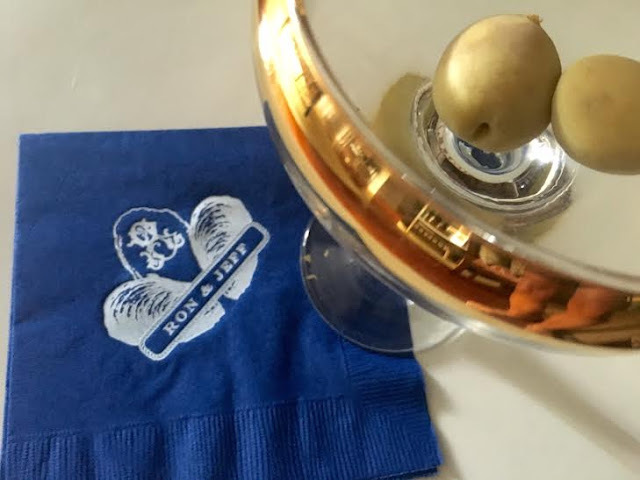 Come on over and enjoy a cocktail with us. Cheers! Check out more of Emily McCarthy's shop HERE. How fun Ron. You always come up with fun stuff! 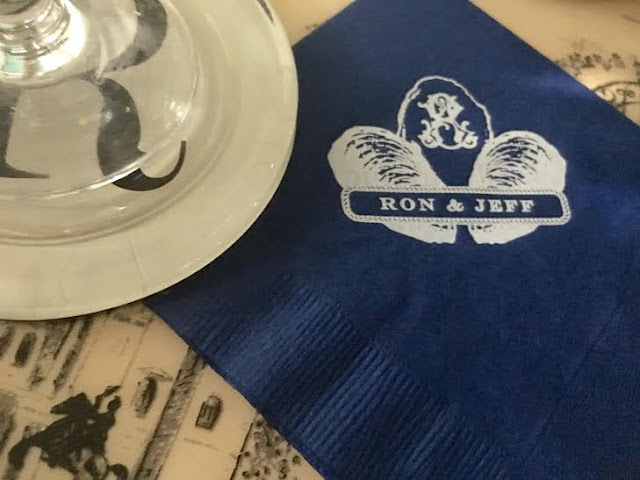 Ron, a visit with you to share a cocktail is an elegant and fun experience I bet! 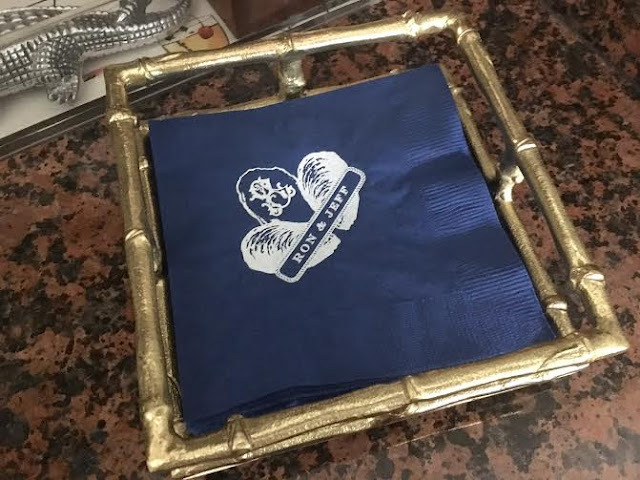 Love the new napkins! These are great Ron. I wish I lived closer to stop by for a cocktail with you. Hope your summer is off to a great start. These are fantastic! Cheers to a great summer!